Herbert "Herb" E. Howe Jr.
Herbert "Herb" E. Howe Jr., 70, of Lincoln, died Nov. 4. Howe retired in 2007 after working for 38 years at UNL — the first 20 as a professor of psychology; the last 18 as associate to the chancellor and chief of staff in the Office of the Chancellor. Howe served UNL chancellors Martin Massengale, Graham Spanier, James Moeser and Harvey Perlman. He ranks as the longest-serving associate to the chancellor in university history. "The university periodically is blessed with a truly 'good citizen,' someone who gets up everyday thinking about what he could do to make the university better without seeking any personal recognition. Herb Howe was such a person," said Chancellor Harvey Perlman. "He should be a central figure when the history of the university is written. He will be sorely missed." Howe was born Oct. 15, 1942 in Plainfield, N.J. He earned a Bachelor of Arts degree, majoring in psychology, from Allegheny College in 1964. He received a Master of Science degree in 1967 and a doctorate in psychology in 1969, both from Penn State University. Howe worked as a clinical psychology intern at the Veterans Administration hospital in Lyons, N.J., from August 1968 to September 1969. Howe began his UNL career in 1969 as an assistant professor with joint appointments in English and psychology. He also served as director of the Psychological Consultation Center in the Department of Psychology (1973-1975) and director of UNL's Clinical Psychology Program (1975-1981). He advanced to associate professor of psychology in 1974 and was promoted to the rank of professor in 1980. Howe was chairman of the psychology department from 1981 to 1988. Massengale recommended Howe be appointed interim associate to the chancellor in 1988. He replaced John Peters who became interim dean of Arts and Sciences. 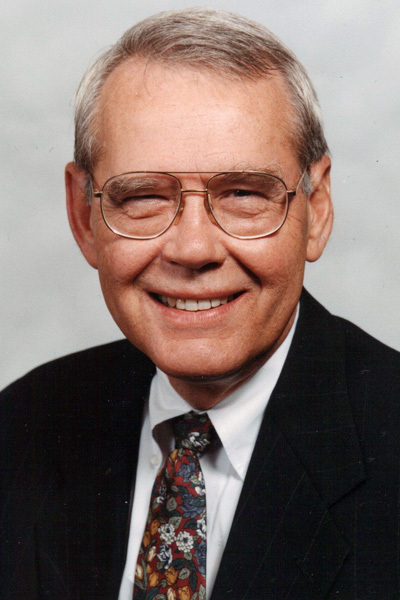 During his tenure as faculty, Howe also served as a psychologist with the Nebraska Penal and Correctional Complex and the Veterans Administration Hospital in Omaha. In retirement, Howe was a major supporter and promoter of the Osher Lifelong Learning Institute, a program of the College of Education and Human Sciences. Under his leadership, the organization experienced significant growth in membership and programming. With his enormous first-hand knowledge of the history of UNL, Howe was selected to participate in the Oral History series, a collaborative effort between the UNL Emeriti Association, Nebraska Alumni Association and University Libraries. Howe's Oral History interview is available at http://go.unl.edu/howe. Howe is survived by his wife of 48 years Susan W. Howe; three children, son David Howe, daughter Robin Howe, and daughter and son-in-law Cindy and Brian Johnson; four grandchildren, Jared and Kyle Johnson, and Joshua and Wesley Howe; brother Wesley Howe; and sister Clarice Howe-Johnson. Memorials are suggested to either Osher Lifelong Learning Institute at UNL, the Friendship Home or the American Red Cross.